With further artist success and festival stages across the world, 2014 already stands as a pretty good year for RAM Records. Now one of the world’s finest D&B imprints follows the success of Andy C’s ‘Nightlife’ concept with the launch of the label’s new compilation series, ‘RAMlife’. The mix contains upfront tracks from RAM’s own DC Breaks, as well as compositions from Frankee; all names featured serve as an affirmation of the independent label’s ongoing prominence. Opening with the VIP mix of ‘Bomber’, you can expect further exclusive cuts from The Prototypes, D Bridge & Vegas, Dimension, Mind Vortex and Culture Shock, plus remixes from the likes of Audio, Ivy Lab and Prolix; every track pays homage to the original with a signature twist from each remixer. 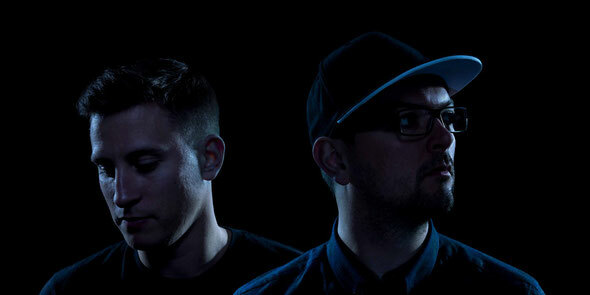 Loadstar’s debut album ‘Future Perfect’ (released in 2013) won critical props from The Guardian to Mixmag, RWD and DJ Mag, from Hype to High Contrast, MTV to Radio 1 and beyond, and helped propel them across the UK and on international tours that have crossed the planet. 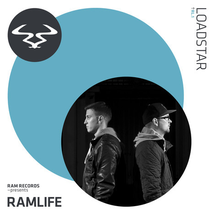 Recent single, ‘Stepped Outside’, was further confirmation that they’re possibly one of D&B’s real star turns, and their ‘RAMlife’ mix will satiate those fans hungry for ‘Future Perfect’s’ successor. It’s out now, download the mini mix below.